$76 per seat, per day. Additional fees may apply. Group orders will cut off Wednesday, June 20 at 5pm. Friday's show features one of the most iconic headliners in the business today. Since he left the Gap Band, Charlie Wilson has had an unprecedented string of hits dating back over 10 years. 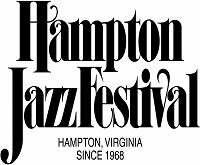 Newcomers to the Festival this year are the sultry Jazmine Sullivan and Grammy award winning Jazz Vocalist Gregory Porter. Rounding out the Friday show is Hampton’s own group Kustom Made. Saturday's show features fan favorite Maze featuring Frankie Beverly. Bring your dancing shoes to this one since there is no way to stay in your seat from the minute Frankie walks on stage. Boyz II Men will add the smooth R&B sound singing all of their hits from over the last 20 years. An additional two groups will bring their special brand of music to the stage – Avery*Sunshine and Lakeside. Sunday's show features the smooth sax sounds of Kenny G. Recently reunited, Xscap3 offers a mix of their 90s R&B classics in addition to showcasing new material. New to the Festival is Lalah Hathaway, who will certainly bring a fresh level of vocal fireworks to the Festival. Rounding out the Sunday show is Con Funk Shun – one of the greatest bands of the classic “group” era.